Just a sec! I’m almost finished. You just missed the bus. Next one comes in 10 minutes. She said she’d get back to me in a couple of weeks but I still haven’t heard. Please take a seat. The doctor will be right with you. The baby’s due date is two weeks from now. I can’t wait. We’re used to waiting. We do it so often, we’re not surprised when it happens. We know how to deal with it. That’s the upside. The downside is that waiting can be such a mixed bag of eager anticipation, worry, patience, impatience, indifference, puzzlement, annoyance, hard work, surprises of all kinds. Still, we’re used to waiting. That’s why the days of Advent, the Church’s season of waiting, holds so many possibilities for us. 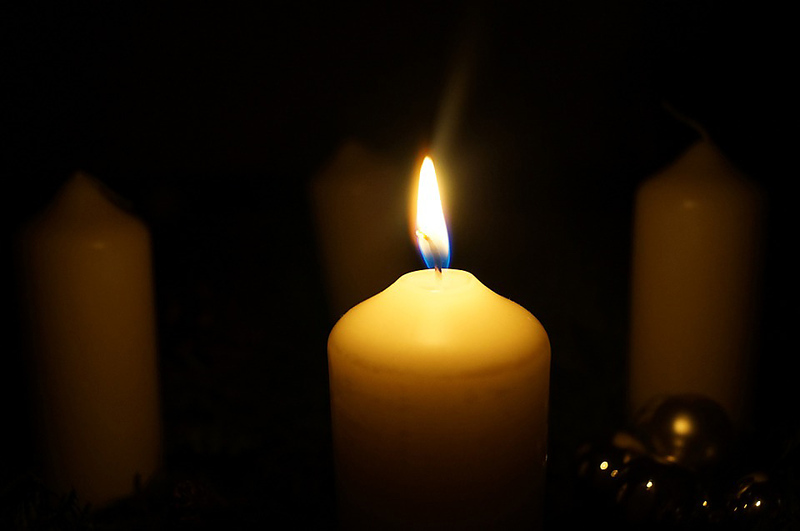 During the liturgies of Advent, the Scriptures will recall events before the birth of Jesus. Once again, we’ll hear the familiar and oddly comforting stories of the required census that caused Mary and Joseph’s long trip to Bethlehem. We’ll see in our mind’s eye their search for a place to stay and finding a stable. Yes, familiar and comforting stories — stories that end well. This is the upside of Advent waiting. We can see how waiting paid off. We can remember our own experiences when waiting turned out well. What about the downside, the waiting parts Mary and Joseph endured that we know nothing about, parts that may have been more challenging, times when waiting must have been painful? We haven’t been told any stories about Mary and Joseph’s long journey from Nazareth to Bethlehem — an eight-day walk of approximately 100 miles. Scripture scholars suspect the couple traveled in a caravan for safety’s sake, but this is speculation. We have no idea about the census process itself — maybe waiting in long lines, maybe waiting for relief from hunger, bad weather, maybe waiting in the company of impatient and intolerant people. We don’t know how long the couple searched and waited before they found the stable. We don’t even know how many days, maybe even weeks, Joseph and Mary lived in that stable and waited for their son’s birth. Even though we don’t know the facts about these waitings, we know the feel of them. We know the discomfort of living with unknown outcomes. We know the physical and emotional toll of waiting. We know the “let’s just get it over with” feeling while waiting. What has all this to do with Advent waiting? Perhaps it’s only this. What if we spent the four weeks of Advent on the lookout for times we witness Love coming into our day, our world – right now, right here? While we’re waiting, what might we see that proves Love surrounds us? Maybe standing in a long line waiting to pay for a gift, we glimpse another’s act of kindness, reminding us that the One for whom we wait is already here — in the open-hearted people around us. Maybe we notice some homeless persons on a corner, and, for a little while, let ourselves wonder what life on the streets is like instead of judging how they got there. Maybe we care for a beloved elder who no longer recognizes us; but, listening to I’m Dreaming of a White Christmas, she begins to sing along. That’s worth waiting for! Or maybe we decide we’ve waited long enough and take that step to mend a broken relationship. So many possibilities in the waiting. So many times in the waiting we can wake ourselves up, get out of our everyday way of seeing life and take the chance to see and hear, touch and be the Love born into the world now — right here, right now, right in front of our faces. Denise, thanks for this beautiful Advent reflection! Waiting usually marks each day of our lives, so it behooves us to use it well. I’ll try to keep your reflection in mind as I’m faced with waiting in this Advent season. WOW – With Out Words but most definitely full of WORD. Thank you for this inspiration…..
Denise, so much to ponder on in this beautiful season. You certainly have given me a new idea of patient waiting with your great examples. Thank you!